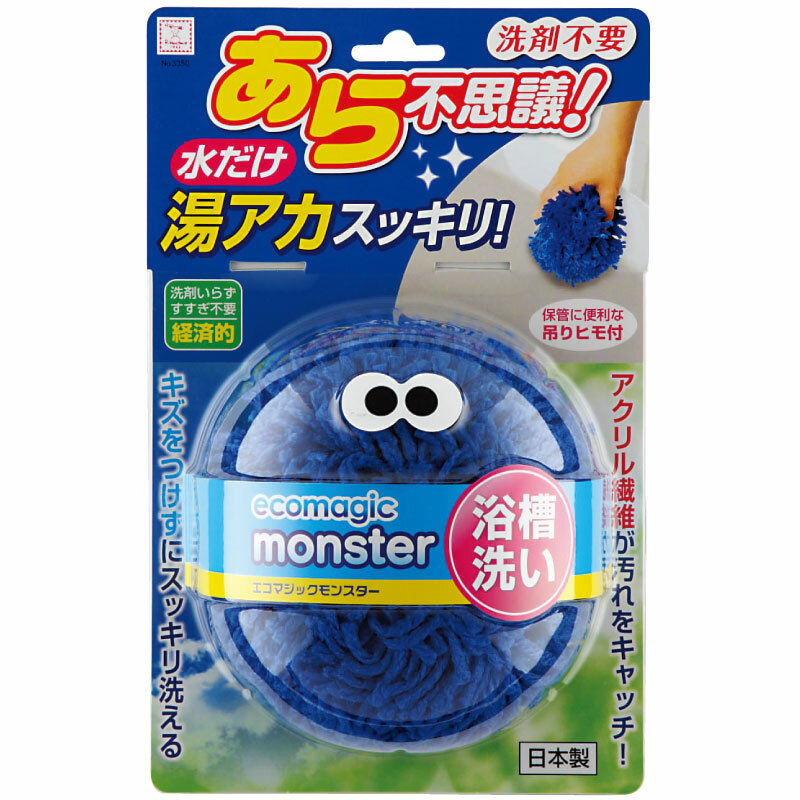 ● Acrylic fibers firmly catch bathroom grime. 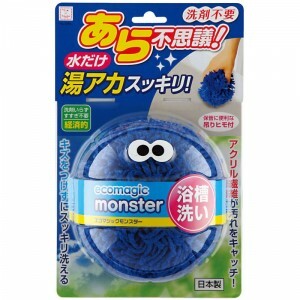 ● Simply soak the Eco Magic Monster with water. ● This detergent-free solution is friendly to your skin, wallet, and the environment. Use sponge to remove grease, dirt, or soap scum from bathtub. Use without detergent for everyday cleaning or with neutral detergent for heavier duty cleaning.